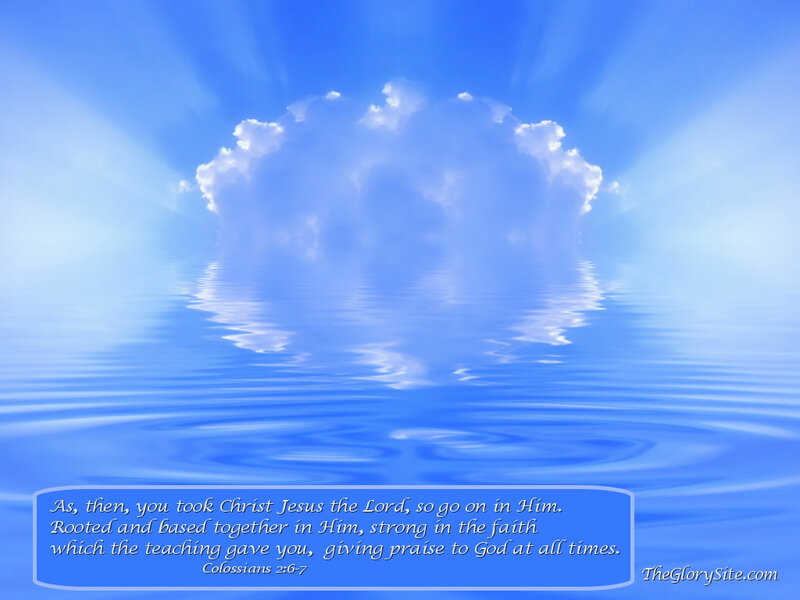 Oh, give thanks to the Lord, for He is good. In mind, those empowered by the Spirit of Might. Striving to please their God, in whom He takes delight. Follow wisdom as a hunter pursues his game. They seek to do all God’s will and not compromise. God hears every cry when they call upon His name. And satisfies the deepest hunger of their soul. They learn that to run to serve is life’s highest goal. And shall be found strong in the Lord, righteous and wise. Despite the truth that God consistently delivers those who cry out to him, His people too often fall back into trouble whereby they only call upon the Lord in the midst of their struggles. Throughout the Psalms and elsewhere in the Scriptures we see that our faithful God responds to those who call upon Him. Mere words are empty and without merit. The closing lines of the poem reiterate the exhortation to express our gratitude to God in all that we say and in all that we do, as expressions of “thanksliving” which I describe as a lifestyle of gratitude. The beat of a healthy heart is made up of two sounds. In healthy adults, these two sounds occur in sequence with each heartbeat that is often described as a “lub-dub” sound. In my mind, I hear the same sequence of sounds as “thank you.” Every beat of my heart pulsates “thank you” to God. The accompanying video explains how the heartbeat or lub-dub sound is formed. Another natural process that can be related to giving thanks is respiration. This process of breathing involves has two distinct phases: inspiration (inhalation) and expiration (exhalation). During inspiration, the diaphragm contracts, as air rushes in to fill the lungs. During expiration, the diaphragm relaxes, as the lungs contract, forcing the air out. 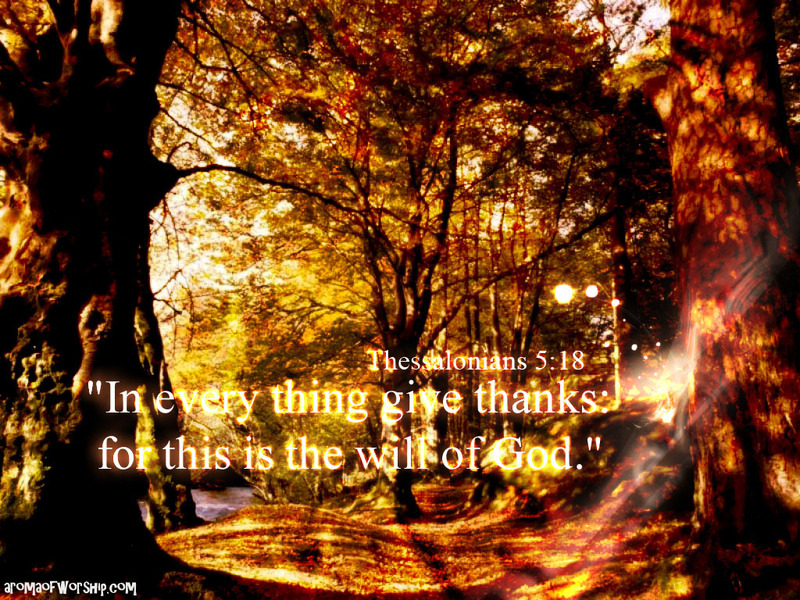 Give thanks in all circumstances, for this is God’s will for you in Christ. For the Lord is good; His mercy and loving-kindness are everlasting, His faithfulness and truth endure to all generations. 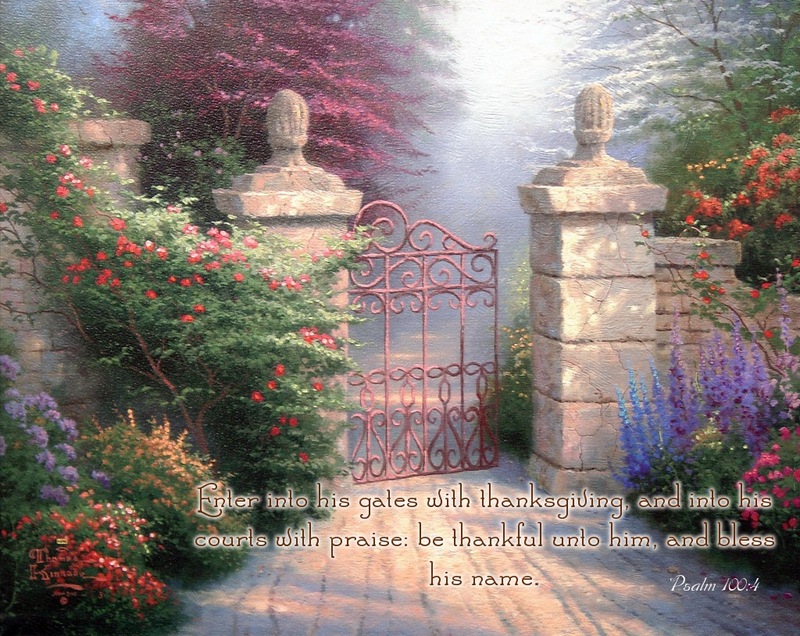 Let us come before His presence with thanksgiving; let us make a joyful noise to Him with songs of praise! A recent blog entry in Dr. J’s Apothecary Shoppe discussed “Thanksgiving in the Psalms” and examined these two familiar passages and others related to the practice of giving thanks to God. We joyfully enter the presence of the Lord with thanksgiving, not only during the week of Thanksgiving Day, but every hour of every day of every week of every year our hearts overflow with gratitude to God. As Christian believers, giving thanks to God for His grace and goodness is a positive expression that reverses negative thinking patterns. A heavy dose of “thanksgiving” will counter the potentially crippling negative effects of fear, anger, disappointment, discouragement, despair and any other toxic emotions of life. We cannot truly be thankful and feel fearful or disappointed at the same time, nor can we be angry or discouraged when we see all that God has done for us and express our gratitude to Him at the same time. Certainly we cannot simultaneously sink to the depths of despair when we recognize how blessed we have been thus far, as we anticipate even greater blessings on the horizon, for the best is always yet to come with God, our beneficent Father. Verse 2 with its great exhortation to “come before his presence with thanksgiving” is a reminder that we are in the “Thanksgiving season.” At this time of year there is an almost automatic association with turkey and dressing, cranberries, and pumpkin pie (or sweet potato pie, depending upon your ethnic tastes). For Christians, however, thanksgiving is more than a holiday observed the fourth Thursday in November. Actually, “Thanksgiving” is a way of life, a lifestyle that is always appropriate. 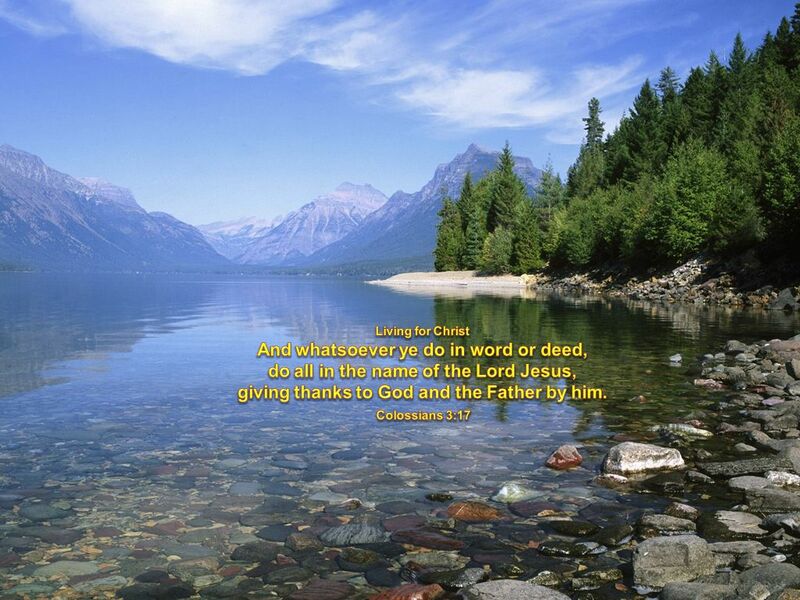 “Thanksgiving” is the reason, not only for this season, but “thanksgiving” should be the reason for every season. As Christian believers, expressing thanks to God for His grace and goodness should never be confined to a single period of time. God desires that we show ourselves grateful at all times. The Book of Psalms offers eight reminders or references to thanksgiving. The number eight is spiritually symbolic of a new beginning, whereby we come to the end of the eighth exhortation and then begin again. We joyfully come before God’s presence with thanksgiving, not just the week before Thanksgiving Day, but every hour of every day of every week of every year. Blessed is the one who does not walk in step with the wicked or stand in the way that sinners take or sit in the company of mockers, but whose delight is in the law of the Lord, and who meditates on his law day and night.. When I think of the First Psalm, I recall the first passage of scripture I ever committed to memory. More than 60 years ago, back in the day, in what we called “junior high school,” I remember that Mrs. Little, the local undertaker’s wife, gathered kids from the neighborhood in a kind of impromptu Vacation Bible School in her home, which was located behind “Little’s “Funeral Parlor.” She told us to memorize Psalm 1, which I did and still recall by heart to this day. Talk about a man that show is blessed—you’re the man. At first you couldn’t, but now you see God’s master plan. To study the Word of Life show is your delight. You’re all the time thinking about it—day and night. Planted by the rivers of water, your roots reach deep. You have been so blessed since you can remember when. The Word of God soothes your soul like a healing balm. You’re the man they talking about in that First Psalm. Now that I think about it, that experience occurred around the same time as another related experience when I asked if I could “join the church.” In order to become a member of the church, you had to be at least twelve years old. Shortly after turning twelve, on a bright and sunny Sunday morning, I walked down the aisle at Carter Chapel Christian Methodist Episcopal (C.M.E.) Church and shook the minister’s hand, but I recognized, even then, that sometime significant had happened that was more than just a formality. In the Jewish tradition there is a rite of passage called the bar mitzvah for young men and the bat mitzvah, for young girls. The term literally means “son/daughter of the commandment.” This religious initiation ceremony is conducted for a Jewish boy who has reached the age of 13 and is regarded as ready to observe religious precepts and thus eligible to take part in public worship. Accepting Jesus Christ as my savior and my expressing my desire to “join the Church,” happened about the same time which I feel may have represented a kind of rite of passage similar to the bar mitzvah, thus have been some of my thoughts while reflecting on the First Psalm and its significance in my life. Biblical scholar, EW Bullinger, points out that Psalm 119 is an acrostic psalm of 22 sections of eight verses each, with each section starting with one of the 22 consecutive letters of the Hebrew alphabet. Take a look at the psalm and note that the first eight verses are labeled under Aleph, verses 9-16 are labeled under Beth; the same sequence follows for all 176 verses (8 x22). This arrangement made the psalm easier to memorize, according to the Holman Bible Handbook. David W. Morris is the worship leader on “Thy Word” (Psalm 119:105) by Hosanna! Music. Reflecting on Psalm 119:105 is a great way to launch our day.